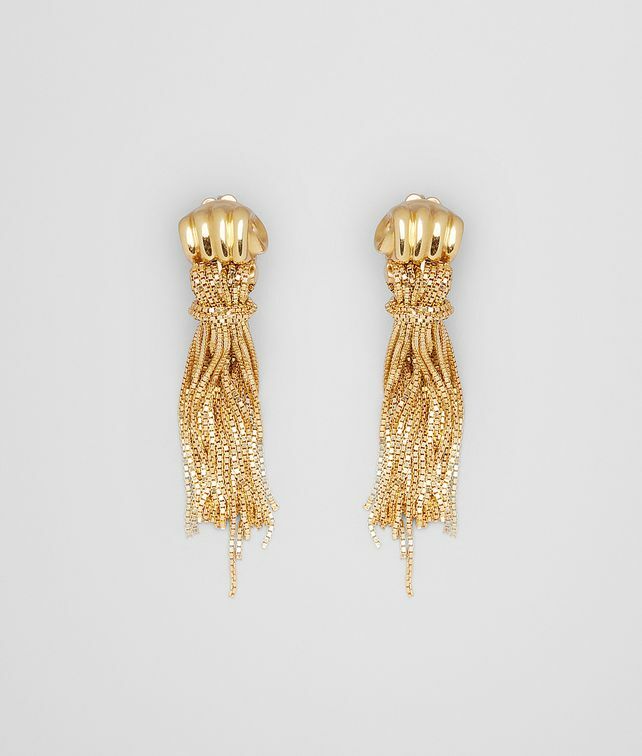 These earrings are made from sterling silver with a warm gold finish in the shape of a hand holding a cascade of delicate chains. The Spring/Summer 2019 jewellery collection features charms and talismans, imbued with meaning. The closed hand symbolises strength.